We transmit the values of the brand in the corporate, industrial or commercial architectural space. The image of a brand is made up of a series of contacts that the potential customer has with her. It is all that set that forms the positioning of the brand in the mind of the consumer. 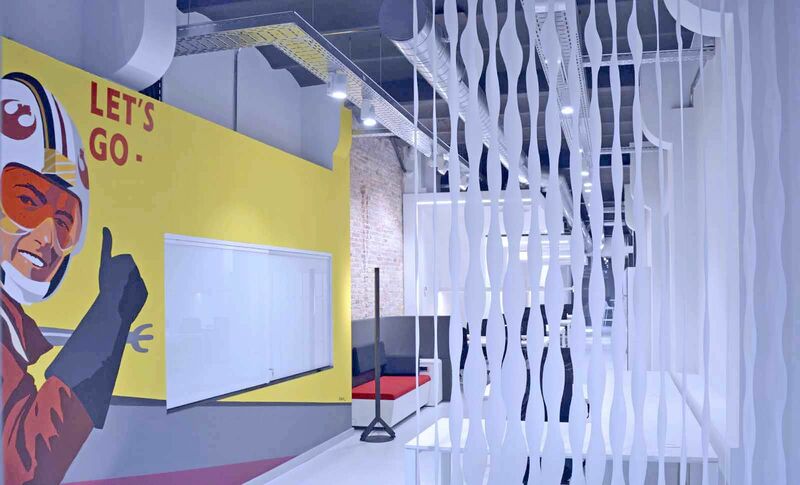 At Prodeca Barcelona, we work on any design need for each and every one of the sensory expressions that associate the brand with the architecture of the space where it is developed. When a customer enters an office, a restaurant or an industrial warehouse, he will feel the essence of the brand in the physical space he is living. That’s why we develop brand applications in the space that become functional areas of work or leisure, at the same time as corporate. Technical design of the applications. We offer our clients the possibility of creating a true brand experience within their spaces. An experience that goes beyond rationality, which takes into account emotional, sensory, perceptions and sensations that the visitor experiences when interacting with the space. Our team of professionals identifies all those points of contact with the client. Analyze the aesthetic and emotional attributes that come into play to design a memorable experience. The experience of the client or visitor is at the end a strategic proposal with the aim of offering elements of tangible and intangible differentiation to get placed in a situation of preference by consumers. 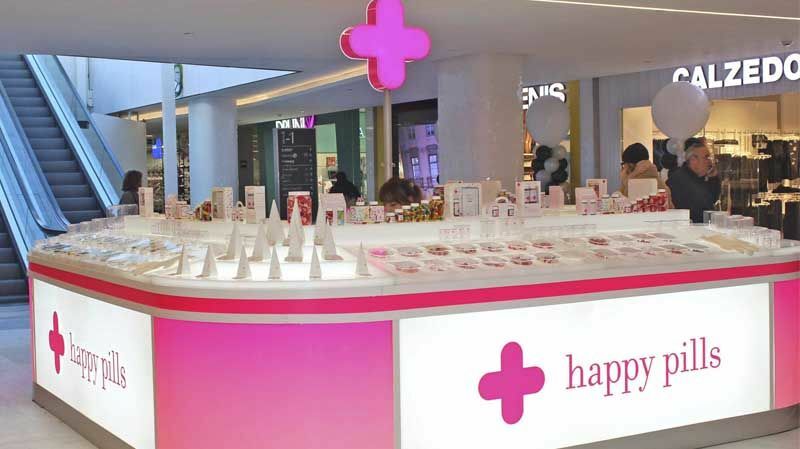 Reforma integral de un local comercial y una oficina para Happy Pills e Inbenta. The wayfindng is the process by which a person is oriented to go from one point to another point of a space. On the way to your destination, the person collects information in the space that runs that serves to guide you. This information, necessary in your route, will include both the architecture of the building and informative and directional elements. It is a series of infomatory, signage and directional supports composed of texts, symbols, images and other sensory elements that can also be corporeal. The multi-channel trend is becoming more and more prevalent. The multichannel is a phenomenon that we apply to our projects as it is the way in which most companies market their products and services today. When the brand offers its products and services through various sales channels: the office or physical store, the web, retail stores, online store, physical catalogs, mobile aps, telephone, tv …. Basically we create shopping experiences adapted to the situation of the potential customer, adapted to their “moment of purchase”. In this way we take advantage of the momentum, offering a “be on all sides” always in a different way. The company maximizes its results, increases its current clients and achieves higher ratios of loyalty, giving the opportunity to its clients to choose, at their convenience, the way to buy their products or services. This requires defining a clear coherent multi-channel strategy among all the selected channels in a way that avoids noise and distortion in the sales process and trains the organization as a whole in this multi-channel sales culture. Everything we can do for you in your corporate space. Corporate image. Design of space Conceptual design of the brand in space. Playful spaces. Infant spaces Socialization areas. Design multichannel system. Office Dining rooms Access control. Air conditioning. Illumination. Decorative painting. Signs Signage Wyfinding. Technical floors. Vinyl floors. Showcase. Sideboards.